Just the word probably brings on warm, fuzzy feelings of pleasure. Love it or hate it, coffee is here to stay. For some it will interfere with your sleep quality and for others it will give you that glorious boost to get more done in the morning. But what about if you want to stop it, and are concerned about withdrawal symptoms? I know, nobody wants to stop coffee…. but let’s say hypothetically you wanted to think about it… what would happen? And should you stop anyway? 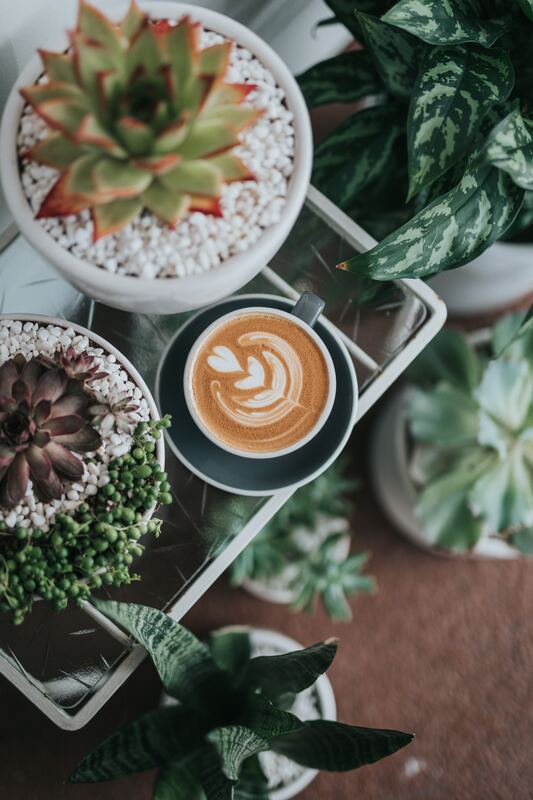 It’s such a wonderful pleasure to have a good cup of coffee, but if you are having more than you should, or it’s an absolute necessity to wake you up, maybe it’s time to have a break for a while and do a ‘coffee detox’. Caffeine is a drug, we need to remember that – too much will kill you, but small amounts are ok – it’s ‘dose dependent’. For some it will play havoc with heart rhythm, cause anxiety and depression while for others it seems to have no adverse effects at all. Whatever you cannot give up ‘holds’ you, or has made you dependent. If you find yourself needing more and more – it’s definitely time to break the habit, and then if you wish – return to one cup a day later on. You will experience chemical dependence if you are a regular coffee drinker, which you will quickly discover if you stop. More than one cup a day may cause mild withdrawal symptoms, usually just a headache for a day, and then it’s over. If you are a heavy ‘addict’ though, drinking 4 or more cups a day, you might experience a few other symptoms such as fatigue, muscle stiffness, irritability, foggy brain and of course the caffeine-withdrawal headache. Within a couple of days though, it will be over and you will feel better for giving it up for a spell. Just don’t replace the coffee with a sugary substitute, which often happens – drink tea instead, it will also help to lessen symptoms. Coffee does have its place – it’s fantastic for ending a bronchospasm in an asthmatic, but it must be a very strong cup of black coffee without sugar. It also certainly helps one get through those long nights of studying as a student, or getting your eyes open after a sleepless night in order to get some work done. Caffeine will affect your energy levels and your mood, no doubt about it. It’s a stimulant and as such demands a price to be paid – it lifts you up and later lets you down as your blood sugar levels yo-yo and can be a serious stressor in your life. It raises the hormone cortisol, perhaps more than you really need, and as such this alone could lead to weight gain, given that cortisol can be a fat-building hormone (round the middle). Coffee might also impact your sleep – not only might it prevent you from falling asleep, but once you do, it will influence your quality of sleep the same way alcohol does – reducing the time you spend in the deep sleep cycle, and instead of waking refreshed, you may wake up still feeling tired even after an 8-hour sleep. Deep sleep is where your body and brain go into repair and restoration mode. Drink coffee in the morning when your cortisol is meant to be high anyway, not at night. Coffee can also speed up digestion and act as a laxative for many people. It might cause heartburn or reflux, so if you suffer from this at night, give coffee a break for a while and see if that helps. There’s also some evidence to suggest that caffeine may interfere with our ability to absorb nutrients, and possibly reduce bone density in heavier users due to its ability to disturb vitamin D metabolism responsible for bone health. We know it impairs the absorption of iron, but tea can do that too, so it is best to drink it away from food. If you find your heart rhythm is noticeably faster, have weaker coffee or perhaps turn to tea instead. There are conflicting studies about whether coffee does or doesn’t raise blood pressure, it seems to be an individual thing. However, there is definitely some truth to the fact that caffeine impairs glucose tolerance leading to impaired carbohydrate metabolism, particularly in diabetics. It also has an effect on glucose metabolism – amazingly in some it improves it and in others it has a negative effect. Some studies have pointed to the possibility of a reduced risk of Alzheimer’s with coffee and Parkinson’s too.